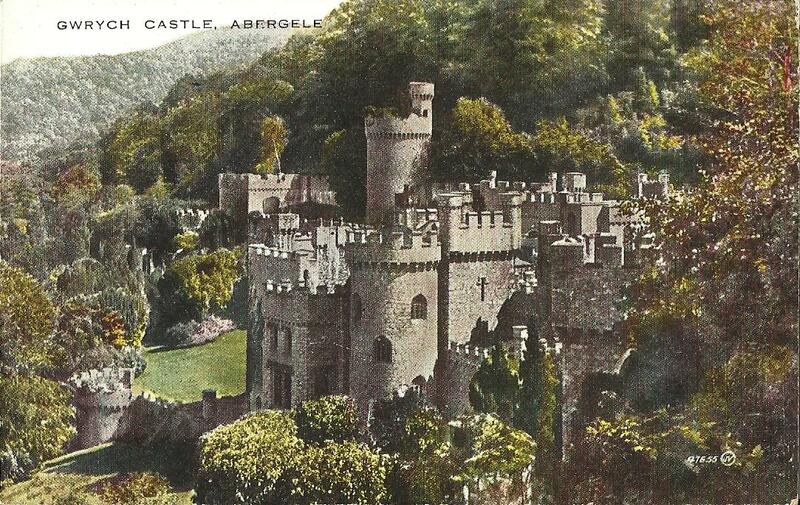 In 1819, a hunting lodge was built on the site of the Norman motte for the Marquess of Abergavenny. Later in the 19th century the grounds were laid out with elaborate walkways around the castle walls. The sea-bathing establishment was built in Bull Bay at the beginning of the 20th century. The early 19th century lodges are at the west entrance of Baron Hill, a mansion reconstructed in 1776 by Samuel Wyatt and the seat of Lord Viscount Bulkeley. Bulkeley had Jacobite sympathies. The Bulkeley Monument is a large obelisk on the top of Twr Hill overlooking the Baron Estate. It was erected in memory of Sir Richard Bulkeley Williams who inherited the estate in 1822 from his uncle, the 7th Viscount Bulkeley. Richard remodelled the house and grounds. Buildings around Home Farm at Chirk Castle were remodelled by Pugin in the mid-19th century in a ferme orne style. The Retreat Seat at Chirk Castle is a Neo-classical temple that was built in 1767 and was possibly designed by Emes who worked at Chirk Castle at that time. The Hawk House at Chirk Castle was designed by E. W. Pugin in 1854 for Henry Weeks and was built on the site of an orangery designed by Emes. Lord Howard de Walden kept falcons there and added the thatch. It was restored by the National Trust after it had burned down. The smallest house in Britain was a fisherman's cottage built in the 19th century against one of Conwy's medieval wall towers. 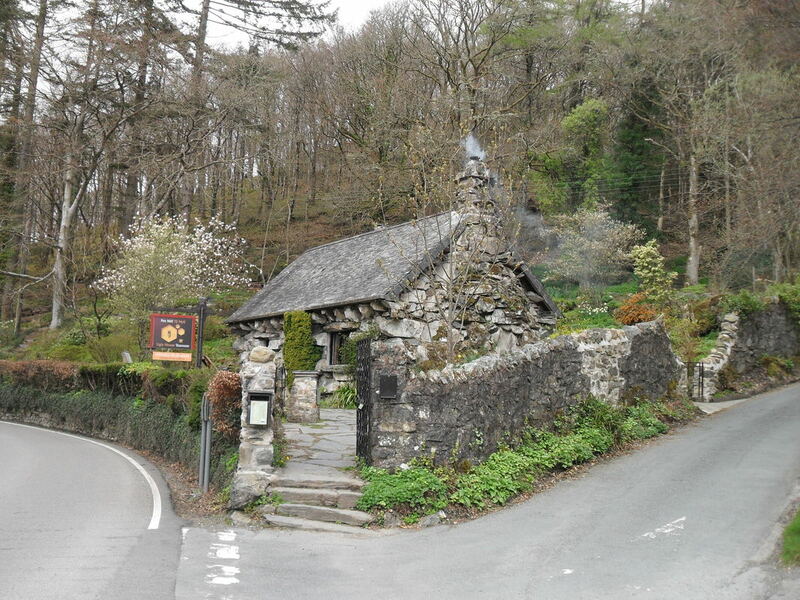 The Pin Mill at Bodnant was originally built in 1738 as a workshop where iron pins were made. After being a garden building at Woodchester, Gloucestershire, it was moved to Bodnant in 1938 for the 2nd Lord Aberconway. At Bodnant in 1882, Henry Pochin had a mausoleum built for himself and his family. No one knows why there is the inscription 'The poem' on the front of the building but it has been suggested that it is the Place of Eternal (or Everlasting) Memory. There is a modern temple at Bodnant. The Penrhos estate was remodelled in the early 19th century by John Thomas Stanley and the tower probably dates from about 1802 to 1808. In 1818, work started on Anglesey to improve the road between Dublin and London and Thomas Telford designed five toll house on the island. Stanley Toll House stood in the grounds of Penrhos, the seat of the Stanley family. The toll house was moved in 1974 from the edge of the A5 to its present position. The Gothic arched gateway to Clytha Park is said to have been designed by John Nash. 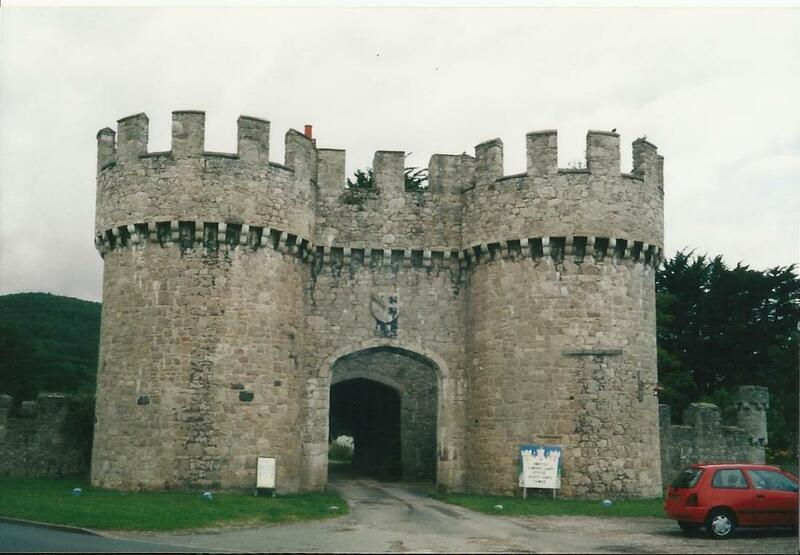 Gwrych Castle is said to have been designed by the owner, Lloyd Bamford Hesketh and work on building it started in 1819. The architects involved were Charles Busby, Thomas Rickman and Edward Welch. The four mile long Marine Drive was completed in 1878 and bought by the Llandundno District Council in 1897. The Norman-styled Grand Lodge to Penrhyn Castle was probably designed by Thomas Hopper. It was built in the 1820s and under the supervision of William Baxter. The Sham Church is an eyecatcher at Penrhyn Castle. The 100feet high marble Doric column was erected in 1816, by public subscription. It is surmounted by a 12ft bronze statue of Henry William Paget, Marquess of Anglesey, who exclaimed at Waterloo 'By God Sir, I've Lost my leg! ', to which Wellington replied 'By God sir, so you have!'. The stump of a windmill stands on a rocky outcrop above Llangefni. It was built in about 1828 and continued working until 1893. The dovecote at Penmon Priory was built in about 1600, possibly by Richard Bukeley of Baron Hill, Beaumaris. Inside is a 12 feet high stone pillar supported a revolving ladder to reach about 1,000 nests. The well near to Penmon Priory is traditionally associated with St Seiriol who lived in the 6th century. The masonry above the well was rebuilt in the 18th century. In 1908, the circle of stones at Plas Newydd was used for the Gorsedd ceremonies at the Llangollen Eisteddford. The shaft of Chester's ancient market cross is at the front of the house. The wooden decoration of the house was the inspiration for the Summerhouse at Charlecote, Warwickshire. Lady Eleanor Bower and Miss Sarah Ponsonby lived together at Plas Newydd between 1780 to 1829. Their romantic story and home attracted the poets and celebrities of Regency society. Plas Newydd was the home of the 'Ladies of LLangollen' from 1780 to 1829. They lavishly decorated their house with recycled wooded panels and it was much visited by Romantic poets of the Regency period. Even the water tower was decorated to make it look like a garden feature. The circular tower on Bryniau Hill was one of a chain of watchtowers that were built along the coast during the Napoleonic Wars. There is a recycled copula at Erddig. There are three garden alcoves at Erddig. The statue of The Druid at Erddig is similar to the one at CROOME D'ABITIOT, Worcestershire. The Roundhouse was built in 1794 on the top of Kymin Hill overlooking Monmouth. Philip Meakins Hardwick instigated the idea of 'the principal Gentlemen of Monmouth and its vicinity' meeting each Tuesday 'for the purpose of dining together, and spending the day in a social manner'. They contributed 80 guineas and had The Roundhouse built as a banqueting house and look-out tower. Monnow Bridge is said to have been completed in 1272 and the gatehouse was added just after. The Naval Temple on Kymin Hill, overlooking Monmouth, was built in 1801 to celebrate Nelson's victory at the Battle of the Nile. It also honours 16 admirals, whose names are on plaques around the building. A figure of Britannia sits on a rock above a triumphal arch. The Neoclassical building is the oldest monument to the Royal Navy and was funded by public subscription. When this image was taken in 2012 when the building was being restored. This post cards shows the Naval Temple about 100 years after construction. The figure of Britannia appears to be missing. The Folly in Pontypool Park was probably built around 1765-1770 by John Hanbury. The 40 feet high tower is on top of a hill, 1,000 feet above sea-level. It was rebuilt in 1994 by CROFT, the Campaign for the Rebuilding of Old Folly Towers. The late 18th century Round House was probably the village Lock-up. The Jubilee Tower was erected on the top of Moel Farmau to commemorate the golden jubilee of George III in 1810. It was designed as an Egyptian-styled obelisk by Thomas Harrison of Chester but it was never completed. In 1862 a storm blew the tower down and it was then reduced to its base. Piercefield Park and the picturesque walks were created by Valentine Morris between 1752 and 1772. Moss Cottage at Wyndcliffe was a cottage orne built in 1828 on a path with 365 steps. The tower near to the South Stack lighthouse was built in 1868 for Ellin, wife of Hon. W. Owen Stanley M.P., owner of the Penrhos estate.